The contagious sound of the women who came to meet at the Dominican Woman’s Center on Monday, October 30 filled the air. They met with hugs, kisses, laughter and hundreds of anecdotes about the ups and downs of daily life in post-Hurricane Maria throughout Puerto Rico and the means of survival they had to invent on the spot. Their meeting place was a house located at a corner of Convalecencia Park in the center of Rio Piedras near the University of Puerto Rico, the Dominican Women’s Center. 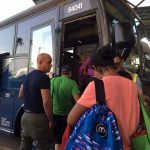 All the women are immigrants or friends of immigrants who have travelled from remote places on the island such as Ponce – normally a 3-hour drive to the capital but takes up to six hours post-Maria. They came from Humacao, from Vega Alta and from Mayagüez. Many others live in the San Juan metropolitan area and nearby places. The size of the Dominican community in Puerto Rico is not known because many are not included in official statistics. They come to the island to work in the informal sector as domestic employees, construction employees, or in their own business initiatives. 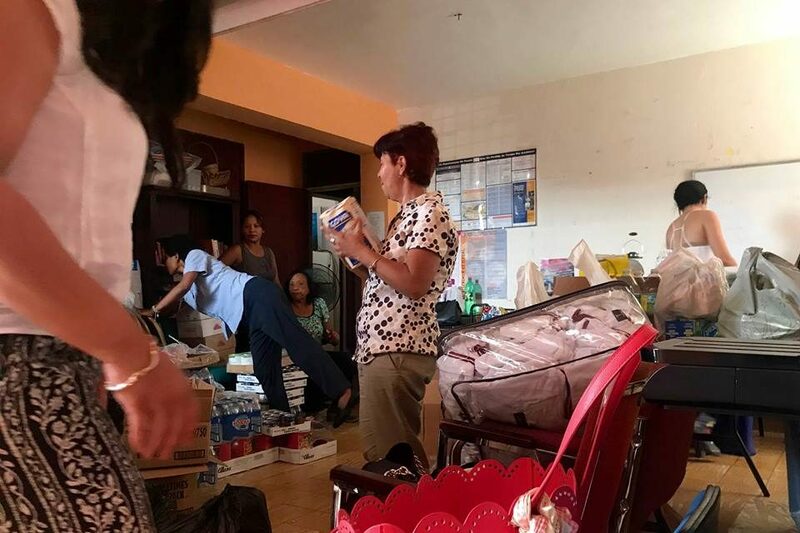 Many women who come to the Dominican Women’s Center are given packages of food and toiletries that the organization has managed to procure from the Red Cross and other international and national entities such as the Office of Women’s Advocacy (la Procuraduría de la Mujer). 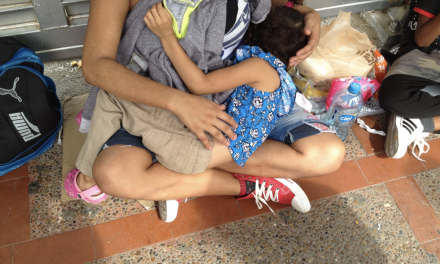 But the solidarity of communities has been key, with people who understand that many of the migrant women who come to the Puerto Rican territory do not qualify for aid from government agencies such as FEMA because they do not have legal status in the country. 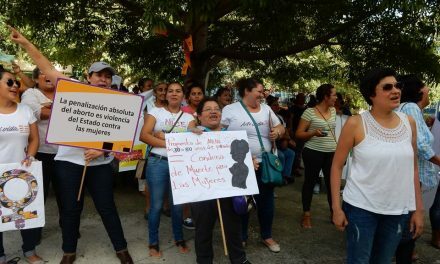 These immigrants include many Dominican women who have left their homeland in search of work or have fled from gender violence perpetrated by husbands or partners. Forced to migrate and live without legal status, they work hard at jobs that no one in Puerto Rico wants to do and without legal protection. The women have forged friendships, created organizations and built new lives in what were already difficult situations in Puerto Rico, but now they face the devastation of Hurricane Maria. 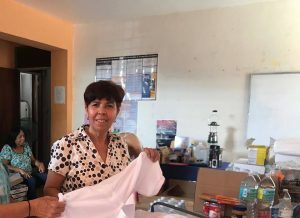 “Many lost their humble homes and others lost their jobs when the families for whom they did domestic work could no longer pay them, or migrated themselves elsewhere in Puerto Rico when they lost their own homes or began to suffer violence and aggression in shelters,” said the coordinator of the Dominican Women’s Center, Romelinda Guillón. According to figures from the center, eight out of ten immigrant women living in Puerto Rico are victims of sexual assault on a daily basis. And the problem is even more invisible with the public protection policies that cover emergencies such as natural disasters, as with the recent Hurricanes Irma and Maria. Romelinda explains that in natural disasters, violence against women does not stop but escalates with factors such as the absence of police forces and the isolation in emergencies, among other causes. 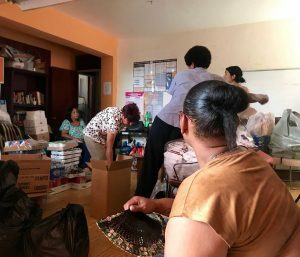 But immigrant women affected by violence and assaults following the hurricanes have found support in the Center. The coordinator, Romelinda is herself a Dominican woman who, like many, came to Puerto Rico in search of a better life. She emigrated from New York 15 years ago. “When I arrived here, I realized that there was nothing for the migrant woman and that’s why we organized ourselves as a grassroots, non-profit organization to support each other and seek the support of women in Puerto Rico and the institutions for women in the country,” she explains. She then turns to ask a woman who has come for her food ration how her children are doing and if they have returned to school. The delivery of food and other donations has been managed by Romelinda since March 8, 2003 when the center was formed to assist migrant women with legal issues, employment needs and to provide support services for women who are victims of aggression and violence. Today in post-Maria, there is no problem that the donations remain for long on the shelves, in contrast to daily press reports about emergency food and supplies being handled by the government that are left for weeks in warehouses. 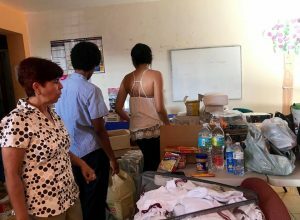 The food and other items the center receives do not sit more than a day in the storage room because their distribution system is much simpler and is based on knowledge of the women who receive the goods and confidence that they know how they will use them. And so continues the distribution of beans, rice, oil, water, soap, pasta and canned sauces. 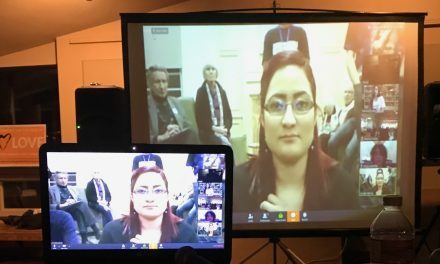 “We have not stopped working even though we do not have electricity or water or wireless connectivity,” explains Romelinda. This solidarity work of women coming together and pooling their resources but at the same time demanding their rights is part of the new Puerto Rico that needs to be changed. “What needs to change in Puerto Rico?” I ask. A young Puerto Rican woman named Marian from Cataño arrives at the center. She studies nursing at the Central University of Bayamón and has two daughters. 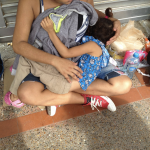 She has come to bring her Dominican friend living in Ponce who lost everything in the hurricane and did not know of the existence of this center as a resource. 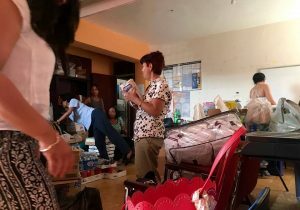 Marian explained that the bedroom ceiling at her own house was destroyed, so now her friend is staying in the living room with her two daughters. “In Cataño everything is lost, not only because of the hurricane, but because the criminals stole the copper cables and that is why we know that we will be the last to receive light [electricity],” said Marian. But she declares that she won’t leave the country or her studies, for herself, her family and the Puerto Rico she wants. As I conducted these interviews, it is clear that a major question remains in the country as to whether there are other major criminals who are responsible for the entire country being without electricity 40 days after the hurricane. The press is full of information about the scandal of the White Fish contract that implicates a growing number of people. The $300 million contract with this small Montana company to rebuild part of the island’s damaged power grid was recently cancelled by the Governor of Puerto Rico with serious concerns raised by officials on the island and also Congress about improprieties and continued delays. Meanwhile, as in the days immediately following the hurricane, people have survived by helping out in their communities. 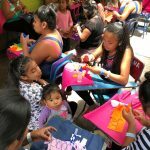 The main purpose of the Dominican Women’s Center is to assist immigrant women in Puerto Rico to find solutions to the problems they face in their daily lives. The center currently offers social work and counseling services, emotional support, legal services, specialized services coordination and educational workshops. Many of these services are designed for immigrant women victims/survivors of domestic violence and sexual assault. 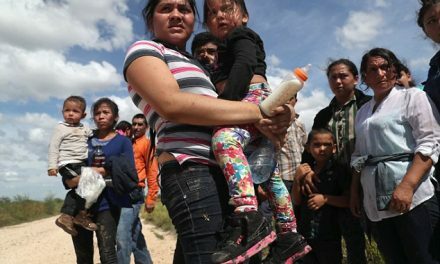 The staff at the center note that there are alternatives for immigrant women who suffer domestic violence including the federal Violence Against Women Act (VAWA). This law is a resource for immigrant women who are victims of domestic violence and/or sexual assault, and who may be at risk of deportation. 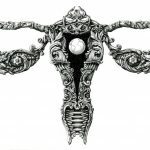 Through the VAWA Act, women can obtain an employment permit and a permit to live in the United States while they are filing for permanent residency, which can be obtained without the help of their spouse. The staff insist that children under 21 also qualify for these rights.